Once I turned homeschooling into a more hands-on environment, we’ve had a ton more fun with our schooling. 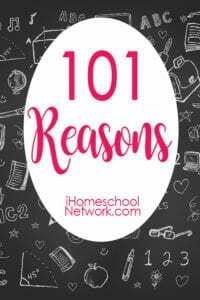 If your kids are stuck in a desk doing worksheets, check out some of the amazing reasons I share below to approach homeschooling HANDS-ON. Playing Skip-Bo for math helps time passes quickly. Making pancakes for math class is delicious. A rock collection becomes an important part of math class. Learning about animal tracks will require a search outside in the mud or snow. You have always wanted to make a paperclip chain that is 100 long. Having a reader’s theater event with friends is a memorable way to first learn Dickens. Making the turkey dance inspires you to finish sorting blends. Playing a game makes practicing short vowel sounds fun. Having a field trip to an apple orchard teaches more than just reading about apples. Playing with Banagrams and Scrabble tiles helps solidify spelling rules. Putting landmarks on a giant U.S. maps helps you remember better. Traveling the Silk Road with Marco Polo yourself teaches you about ancient trade routes. Making your own Archmedian screw teaches a lot about simple machines. Clip cards for learning compound words train fine motor muscles as well as the subject at hand. Cutting and pasting CVC images helps build word family awareness. Putting rhyming dust bunnies in a bag helps bring a favorite picture book to life. Having an egg hunt when it’s not Easter helps prolong the holiday, even as you practice reading skills. Sorting flowers with images into word family flower pots is a physical activity. Recycling your own paper helps you understand the need to recycle and appreciate smooth paper. Imitating an award-winning artist’s scratch art style of illustration helps one appreciate the art type more. Doing your own water displacement experiment makes the story of Archimedes and the crown more clear. Making your own paper airplanes helps one learn about aerodynamics without having sit and read about it. Designing and writing your own thank you cards is better than boring copywork. Building with apples is a tasty way to learn about structural engineering. Building a sentence in Spanish is a satisfying way to recognize one’s learning. It’s more fun to pretend you are in a coral reef escaping a barracuda than to read a book. Designing a flower garden is an imaginative way to practice learning area and perimeter. Playing a high-speed matching and swapping game to learn about biomes makes the distinctions clear. Using a ten-sided die to practice baseball multiplication is perfect for a sports enthusiast. Making it rain in the kitchen is a wet way to learn about the water cycle. Programming your own robot teaches essential 21st century skills. Balancing like the Cat in the Hat is a clever way to learn about the center of gravity. Learning about core sampling is memorable when it requires playing in play dough! Learning about scale models while making a LEGO model of your bedroom can only be described as fun. Stamping out spelling words requires more carefully thinking before spelling. Making a giant food pyramind on the floor helps one sort foods in to categories. Learning fractions with pizza makes fraction learning practical. Selling pretend lemonade is a fun way to practice all sorts of math skills. Keeping track of events with passport stamps creates a memorable keepsake. Finding a treasure on a treasure map teaches the practical skill of reading a compass. Making compound words using “bon-bons” is great for visual learners. Painting a scripture story brings it to life. Practicing double digit subtraction with a competitive card game is less boring for students. Playing “Guess Who?” with famous explorers requires careful thinking and comparing. Floating and sinking items in water is a wet way to learn about a basic science concept. Doing laundry and cooking dinner are the most practical things to learn. Tossing a beanbag into a muffin tin helps practice reading skills, as well as gross motor practice. Praying in Spanish is a useful way to practice speaking a foreign language. Adding liquids to a clear jar is a messy way to learn about layers of the atmosphere. Sorting living things into “kingdoms” makes distinctions clear. Slapping flies with a fly swatter is a fun way to practice multiplication facts. Writing difficult spellings in a word journal creates a reference to use in the future. Watching the clouds and tracking the clouds teaches about weather predicting. Counting with gold coins makes the Leprechaun’s treasure at the end of the rainbow seem real. Hopping on numbers makes math practice into an active time. Climbing in and out of a box and over another person teaches prepositions with lots of laughter. Feeding an ABC monster keeps a toddler or preschool busy. Making a skeleton out of q-tips teaches about major bones in the body. Playing with apple mini-erasers solidifies one-to-one correspondence learning. Sorting bears and frogs by color and size helps little ones learn basic skills. Making a rice I Spy bag helps little ones practice visual discrimination. Making an A to Z box teaches the alphabet’s first sounds in a visual and kinetic way. Making footprints in flour helps a child visualize the first steps on the moon! Going for a walk in a pool noodle covered wagon makes the pioneers’ historic journey seem real. Putting favorite characters into their habitats is an early science lesson. Sending plastic frogs hopping provides measuring practice. Holding a backyard circus is great exercise plus it helps kids imagine. Wearing fairy wings, antenna, and a party blower teaches a little one about butterflies. Playing with kitchen tongs can teach about greater than and less than. Acting out the Rapunzel story requires building a tower of LEGOs. Writing in the snow is sensory fun as well as early literacy practice. Making your own ABC community helper booklet is even more fun than reading one. Learning about vegetables should be a sensory activity. Learning about moon phases should require dancing. Understanding the global nature of the world needs sidewalk chalk. Laundry day should include a science lesson about hermit crabs. Playing dominoes is perfect for name recognition or sight word practice. Learning about instruments can be imagination play. Leaf rubbings are a perfect autumn craft. Egg cartons can be recycled for literacy practice. Rubber ducks are for counting practice not just for bath time. Nerf guns make lessons more fun. Making a backyard-sized timeline puts historical events in context! Paper mache messes make for memorable learning. Sight words are more fun when playing with cars and trucks. Math games are fun for all ages. 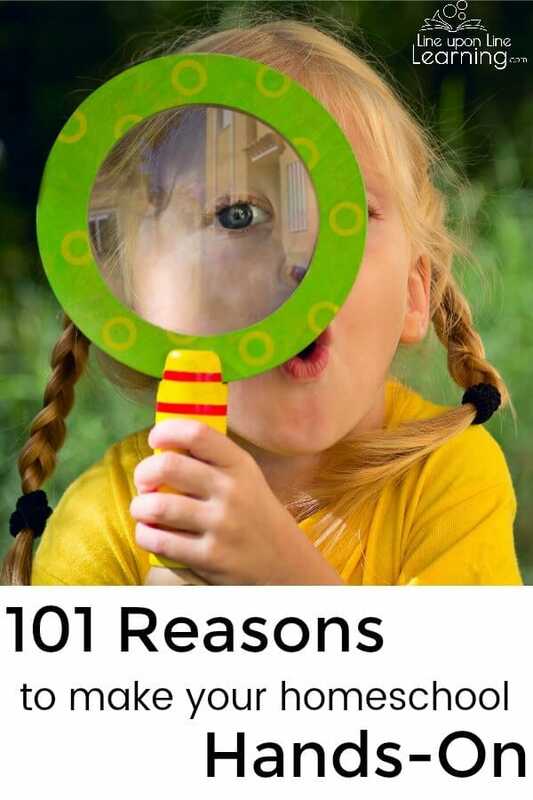 Want to see more lists of homeschool reasons? Check out the iHomeschool Network blog today!